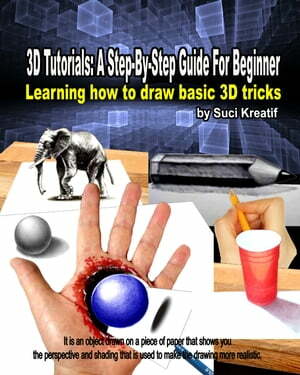 Collins Booksellers - 3D TUTORIALS: A Step-By-Step Guide For Beginner by Suci Kreatif, 1230003066058. Buy this book online. “3D TUTORIALS: A Step-By-Step Guide For Beginner “ is the creative process and make it fun and easy for people to learn to draw 3D object. Teaching is truly rewarding! I love being a guide that helps people discover their hidden potential. 3-D drawing secrets can be viewed as a three-phase process of: Lighting, perspective and think outside the page. If you followed the tutorial carefully, after some practice you should be able to draw 3D objects. While these exercises may seem boring, they're essential and need to be learnt. If you tried them and they seemed trivial, that's great, you're ready!